Apply for OOU Post Utme 2015 now. The management of Olabisi Onabanjo University (OOU), Ago-Iwoye, invites application from suitably qualified JAMB 2015 candidates for the Post-UTME screening of the institution. 1. UTME candidates that picked the University with a minimum score of 180 in the 2015/2016 UTME Results. 2. Candidates with ‘A’ Level Certificate or First Degree who had applied for Direct Entry Admission through JAMB into the University. 3. Candidates who possess Diploma certificate of the University and who had applied for Direct Entry admission through JAMB into the University. 4. Candidates with Diploma from other approved institutions with minimum of Upper Credit who had applied through JAMB for Direct Entry admission into the University. 5. Candidates who did not pick the University but with a minimum score of 180 in the 2015/2016 UTME results. 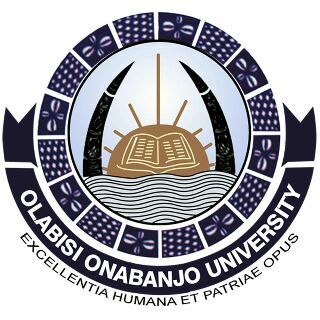 i. OOU CAMPUSES – Any of the University Point of Sales (POS) on any of our Campuses (Ago – Iwoye, Ikenne, Sagamu, Ayetoro & Ibogun). ii. IJEBU-ODE – Olabisi Onabanjo University Guest House, Igbeba Ijebu-Ode. The sum total of the PUTME is N7,000.00 (Seven Thousand Naira) only. (1) Candidates for OOU post utme 2015 are to collect a scratch card (at no additional cost) at the point of payment. (2) Visit the University Registration Website: www.oouagoiwoye.edu.ng and print out your Post-UTME examination slip 48 hours after payment. i E-registration slip for UTME/DE 2015/2016 session. ii The Printout for the POST-UTME Registration form. OOU Post UTME 2015 screening shall be conducted from Monday 27th July to Monday 3rd August, 2015. The OOU Post UTME 2015 screening exercises would be conducted through Computer Based Test (CBT). PLEASE NOTE THAT PAYMENT SHOULD BE MADE THROUGH POS ONLY AT THE ABOVE LISTED LOCATIONS.